This is a life-transforming training that builds a bridge between a rich ancient system and modern scientific knowledge. The universal laws of nature bring harmony and balance to our lives -- don't miss this great opportunity. Access to the self-care sanctuary every day of class! Program cost: $3400. We prefer full commitment, however please call for special considerations or payment plan options. A $500 deposit is required to hold your place in the Yoga Teacher Training. This deposit may be paid by check, credit card, money order, or cash. The remaining balance is due prior to the completion of the program. Deposits and payments made for the program are non-refundable. The student is responsible to fulfill tuition payment. Easy payment plans available. Please Inquire. Tirza is co-founder of both the Ayurveda Yoga Teacher Training and the Body Temple Yoga programs at the dhyana Center. With over 20 years experience practicing and teaching yoga, she offers in depth instruction from many styles and perspectives, including Iyengar, Tri-Yoga and Vinyasa. Through asana, satya, and pranayama, her teaching focuses on the mind/body connection and finding pathways to self love and the devotional heart. DeAnna, founder of the dhyana Center, is an Ayurvedic practitioner, massage therapist, clinical aromatherapist and nutritionist. 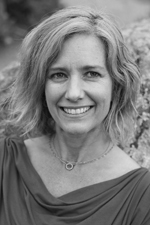 She has over 25 years of clinical experience in therapeutic massage, estiology, herbology, aromatherapy, Tibetan & Ayurvedic medicine, childbirth support, auto-immune conditions, and whole food nutrition. Her vision is to create a harmony between the traditional, medical sciences of the East and the desire to thrive within our lifestyles in the West. She has a unique ability to blend spiritual alchemy, science, and plant medicine. She educates her clients and students about self-health, inspiring them to become personally responsible for their own well-being. DeAnna aspires to prepare each student to become an empowered practitioner. 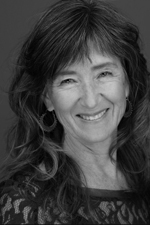 Tessa is a certified Iyengar Yoga teacher and has been practicing Iyengar yoga since 2007. She received her teacher training at the Iyengar Yoga Institute in of San Francisco and travels regularly to San Francisco to study with her teachers, Manouso Manos and Brian Hogencamp. She also has specialized training in pre-natal yoga, and yoga for scoliosis. Tessa is dedicated to the Iyengar method because of its attention to alignment and the thorough change it brings about in the body, mind and soul. An avid practitioner, Tessa has used Iyengar yoga to help treat her scoliosis. She teaches in a way that is safe, accessible, and compassionate – providing individual attention to each student. She also owns her own coaching business Infinite Success Coaching. Expertise: Ayurvedic Nutrition - Cooking and eating for your constitution; the anatomy of the digestive tract through the lens of Ayurveda; the edible effect of the 6 flavors - the elements, their actions, your emotions, and combining them for balance; and the therapeutic approach of food as medicine. Mary Sheila’s clinical focus is on supporting clients to restore metabolic balance, regulate their mood, stabilize body weight, and regain optimal digestion and health. With a background in Holistic Nutrition, Clinical Ayurveda, Adrenal Support and Amino Acid Therapy, Mary Sheila’s approach combines these modalities to create a unique supportive experience for her clients and class participants. Her way of bringing nutrition alive, simplifying complex concepts, and showing how food meets physiology leads her clients to consistently successful outcomes. Michelle’s dynamic teaching style is a reflection of her lifetime spiritual pilgrimage that has spanned across more than three decades studying, practicing, and teaching in the Healing Arts. She weaves an eclectic mandala of healing modalities and life experience with her devotion to Yoga to offer as an embodied prayer in motion to her students. Her foundation began with Rodney Yee and Iyengar Yoga in the mid 80’s. As a student of Anthropology at The Evergreen State College, she spent 3 years in Asia practicing Tibetan Buddhism, Hatha Yoga, and Balinese dance. She integrated her awakened spirituality into her work as a teacher, ritual and ceremonial facilitator, and Transformational Therapist at The Heartwood Institute. In 2009, a car accident brought her to the edge of life. To regain her mobility, she worked with the masterful Viniyoga therapist, Mirka Kraftsow. She owes the miracle of her full mobility to Viniyoga. Inspired to share this miracle, she attended the 500 hour Viniyoga teacher training with Gary Kraftsow while still on a cane. Michelle has completed over 1500 hours of training and mentorship with Mirka and has been teaching and offering private sessions since 2010. She is grateful for the teachings of Seane Corn, Rod Stryker, Gayna Uransky, Gabrielle Roth, and many others who have profoundly touched her life. Quiana discovered yoga when she was 17 and was totally smitten. She embraced a deep remembrance of the yogic path and has been cultivating her embodied wisdom ever since. She became a teacher at 22 and has been teaching off and on for 38 years. In this time, she's witnessed a profound shift in how the culture regards yoga; from a rare cult-like phenomena to what it's become -- a widely known and accepted activity. It is through this popularized transformation that she sees some of the precious relationship to the more subtle aspects of yoga have been lost. She is inspired to share these gifts with students wishing for more dimension in their practice. The main influences in her work are Hatha yoga, Vini-yoga, Vinyasa Flow, Yin Yoga, Partner Yoga, Pranayama, Mantra, Mudras and Restorative Yoga. She specializes in bringing a light approach, while awakening a subtle inner alignment that carries into one's whole life. Quiana has led a parallel life as a facilitator of human awareness. Serving as a spiritual counselor, life coach, master bodyworker and energy healer, she has worked with thousands of individuals, couple and groups in their awakening in consciousness. She is currently focused on her work in CoreIndividuationTM, an energy healing practice and also serves as a CI teacher for this ancient-emergent transformational work. YAMA and NIYAMA: Philosophy and practice of the universal vows. ASANA: Learn head to toe body alignment, and gain powers of strength and flexibility. Asana for the doshas. PRANAYAMA: Learn a powerful and scientific approach to breath (prana) control for consciousness development. DHRANA: Learn the concentration techniques to understand the powers of the mind. SAMADHI: Learn the foundation for liberation and reaching higher consciousness. MARMA POINTS: Learn how to use the ancient system of Marma Points in the Yoga postures to open the Nadis and Chakra balance. Learn & experience the subtle body. The Yoga Practice's main goal is to transcend through all the layers of the body. “We all share in common the body of light and the infinite sound of OM.” When we reach to a greater level of relaxation, our bodies will open and express the subtlest of the vibrations where Peace and divine healing occurs. This is more than a teacher training; here we will discover the greatest of all treasures in human kind. You will learn the science of the subtle body and how to restore the balance of the Chakras. Understand the Nadi System for a greater practical application. Learn and understand the universal laws of human nature and our connection to the natural world. Learn the clinical Yogi view of human sciences in a functional and holistic approach. Practice what you learn right here and right now with the community. Learn specific teaching methodology, strategy and practice. Our Vision Quest mission is to deepen our understanding of yoga from within Mother Nature. Details to be announced. How does Yoga Therapy determine what imbalances exist within the body? How can Yoga Therapy stabilize your Doshas? How can Yoga Therapy monitor progress? How does Yoga Therapy support your Vayus, Dhatus, Malas, Prana, Tejas and Ojas? We’ll use and eat fresh, seasonal vegetables from a local, organic, sustainable or biodynamic farm. "I wanted to let you know a little about my yoga practice. And teaching. I started teaching at the local group home ... I am loving it, it's exactly what I set out to do and I don't think I would've been this prepared to do this challenging and extremely adaptive type of class without all the resources I gained from you all. Your training was so eclectic and well-rounded and cultivated truly the inner Yogi in me. I feel like though my physical body may not be that flexible, my spiritual body is. And I think the various topics and energies you helped me cultivate is what lends itself to that flexibility and diversity. I go through life on my path, I am once again put into a state of grace at how perfect the plan is." “The Ayurvedic Yoga Teacher Training AYTT is a profound transformational program. It is a beautifully held container where you can learn, grow and self-heal in a supportive and loving environment. [The instructors] are gifted teachers that guide you through this beautiful processes. I witnessed their ability to work with a range of people whether new to yoga or individuals who had a dedicated practice. It was a course that included much, much more than just asanas, it covered pranayama, meditation, cooking, nature and a special vision quest. I am eternally grateful for this program, and highly recommend it to anyone."